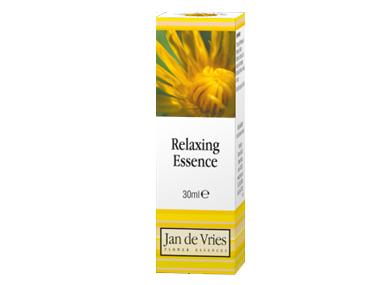 Buy Jan de Vries Relaxing flower essence is a combination flower remedy in the UK from our online shop or directly from our independent Scottish store. This flower essence is useful for if you are feeling under pressure, worried, tense, anxious, agitated or irritable. Some of us find it more difficult to unwind and relax. If you are feeling under pressure, worried, tense, anxious, agitated or irritable, this combination of the flower remedies of Impatiens, Mullein, Dandelion, Mimulus, Elm, Aspen, Oak, Hornbeam, Bluebell and Vervain could be for you. As official stockist, we sell genuine Flower Essences directly from our shop in Scotland and online throughout the UK. View more products from Jan de Vries. Where can you buy real Relaxing Essence safely online? If you are wondering where you can buy Jan de Vries Relaxing flower essence is a combination flower remedy safely online in the UK, then shop with us. We are an actual health foods shop; with real people selling real foods and products. Our award-winning independent shop is located in Stirling, Scotland since 1976. You can buy our Flower Essences in store or safely place an order with us online or over the phone. Relaxing Essence - Jan de Vries Relaxing flower essence is a combination flower remedy in Flower Essences and Herbal Remedies, Tinctures & Supplements.